The story Linda Jing tells in the video is slick and persuasive: she was a girl from a poor village forced to study by candlelight because there was no electricity until coal-fired power plants arrived, transforming her destiny and that of China. “It’s not an easy life,” Jing says, whose school was an old temple. “We actually had to bring our own little oil lamp or homemade candles for some of the school sessions.” The children had to go there very early, often in the dark, she recalls. The video comes with a soothing soundtrack of traditional Chinese music, and is beautifully shot. Nowhere more so than when Jing recalls the beauty of the (electrical) city neon lights in Shanghai when she first went there as a student. Linda Jing has certainly made the most of her opportunities. Contrary to the impression the video viewer might form, she was brought up in relative prosperity. She studied hard, emigrated and is now an executive at Monsanto, the agriculture and biotech giant, headquartered in St Louis, Missouri. Not that there is any mention of her work in the video. Nor does Jing reveal that this is a video produced at the behest of Peabody Energy, the world’s largest privately-held coal mining company, which also has its headquarters in St Louis. The two industrial giants are a 20-minute drive apart, and she was approached to appear in the video after a women’s networking event involving the companies. 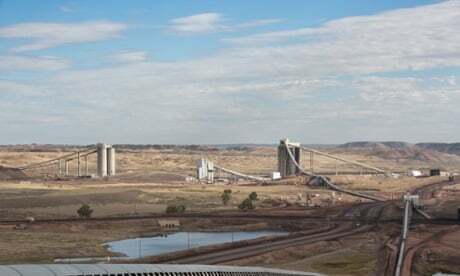 This week, Peabody announced a major deal in the Datong mining area in China. Jing’s late father used to work there – appointed to a senior role by then premier Deng Xiaoping, no less. Her two elder brothers and sisters-in-law work there now. Bringing Electricity to China’s Jing Jin village was posted to YouTube on 2 March this year – about six months after Britain’s Advertising Standards Authority asked Peabody to withdraw an advertisement about “clean coal” because it was misleading. The regulator rejected two other complaints against the ad brought by the World Wildlife Fund. The message in the Linda Jing video is clear – coal is the solution to poverty in developing nations. It is Peabody’s bold attempt to change the conversation away from climate change, and it has embraced it with gusto on its Advanced Energy for Life website. Long before Linda Jing, Peabody stood apart from other coal, oil and gas companies for its open rejection of mainstream climate science and its hardline opposition to domestic regulations and international agreements that would put limits on carbon pollution. Peabody’s links to the parallel universe of the climate denial movement stretch back to the early 1990s when Fred Palmer, who is now Peabody’s main lobbyist as vice-president of government affairs, founded the Greening Earth Society, an industry front group. It actively promoted the notion that climate change was a net positive, with benefits for plants and public health. 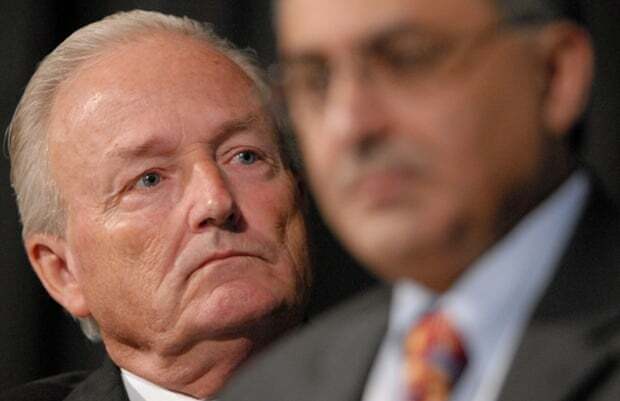 A decade later, Peabody hired as its chief environmental adviser Craig Idso, the co-founder and former president of the Center for the Study of Carbon Dioxide and Global Change, a thinktank that has attacked mainstream climate science. The center maintains that rising carbon dioxide emissions “brings growth and prosperity to man and nature alike”. The company has launched several law suits to try to beat back regulations on acid rain, mercury, and other pollutants, and it has led the broad industry pushback against Barack Obama’s climate agenda and the Environmental Protection Agency (EPA) rules on carbon pollution that are at the heart of his plan. Earlier this year, Peabody hired Obama’s former Harvard law professor, Laurence Tribe, to argue against the EPA rules in the supreme court. The hard line set Peabody apart from other coal companies – as did the sheer scale of operations. The company controls the biggest mines in the world, in the US and Australia, and has offices across Europe and Asia. But Peabody lost $787m (£508m) last year, partly because of competition from cheap oil and natural gas, due to fracking, and the company has been hit hard by fossil fuel divestment campaigns. The Rockefeller Brothers Fund dumped their coal holdings late last year. Stanford University also got out of coal. The Guardian supports the fossil fuel divestment movement, and its Keep it in the Ground campaign has called on the Bill and Melinda Gates Foundation and the Wellcome Trust, world’s two biggest health charities, to divest from coal. As of the end of 2013, the Gates Foundation had $1.6m in Peabody holdings, according to Guardian analysis. 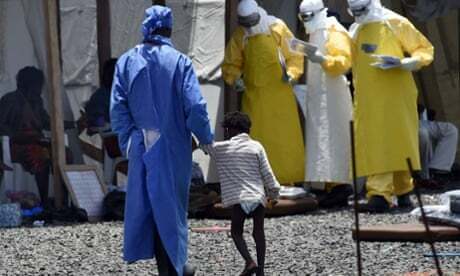 The Wellcome Trust does not have any direct investments in the company. The changing fortunes for fossil fuels have led other coal, oil and gas companies to acknowledge climate change is occurring and caused by the burning of coal, oil and gas. But not Peabody – whose top executives continue to cast doubt on the existence of climate change. Palmer has gone so far as to claim that those who contribute to global warming by burning fossil fuels are doing “god’s work”. “Every time you turn your car on and you burn fossil fuels and you put C02 in the air you are doing the work of the lord,” Palmer told an industry gathering in 2009. Peabody’s chief executive, Greg Boyce, while purporting to endorse a transition to a low-carbon economy, regularly dismisses the “flawed computer models” as the basis of “climate theory”. The Advanced Energy for Life website where Jing plays a starring role was launched in February 2104. Peabody says it has three objectives: combatting the crisis of global energy poverty, increasing access to low-cost electricity, and reducing emissions using today’s advanced ‘clean coal’ technologies. Campaigners say it is merely the latest example of the company’s efforts to blur the connection between climate change and coal. In this case, the strategy was aimed at changing the conversation from climate change to poverty, and coal from culprit to cure. The Advanced Energy for Life campaign was crafted by Burson Marsteller, a public relations firm that worked with the Nigerian government and Argentina junta when they were accused of massacres and disappearances, and helped the nuclear, chemical and energy companies after environmental disasters. It was a ringer for a United Nations initiative, Sustainable Energy for All, launched by Ban Ki-moon in 2011, aimed at fighting poverty by expanding access to clean energy. The UN, the World Bank, governments and charitable foundations all see access to energy as a route out of poverty and fund efforts to hook villages up to the grid and expand access to cooking facilities in developing countries. But none of those initiatives involve coal. In stark contrast, the pro-coal version sponsored by Peabody on the Advanced Energy for Life website relies heavily on material from coal industry lobby groups and small ultra-conservative think tanks that deny the existence of climate change, such as the Heartland Institute. One of those figures was Bill Gates, who posted two videos on energy poverty by the climate contrarian Bjorn Lomborg on his Gates Notes blog in June last year. Instead, the solution proposed by Advanced Energy for Life, when the campaign first launched, was blocking the new rules in the US putting limits on carbon pollution for power plants, due to be finalised this summer. When the campaign launched, Peabody invited the public to “take action” by writing the EPA to oppose the clean power plant rules as a way of helping poor people in Africa. The “take action” option was later removed. 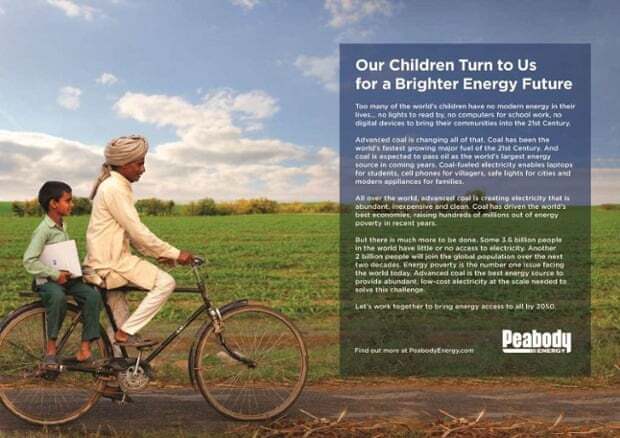 And Peabody has admitted the true measure of success of its Advanced Energy for Life campaign will not be measured in developing countries, but by the degree to which it has managed to lead the attention away from coal as a cause of climate change. “We will achieve the highest level of success if we are able to change the global conversation to focus on energy poverty as the world’s number one human and environmental crisis.” Beth Sutton, Peabody’s vice-president for global advocacy communications said. Personal stories such as Jing’s are critical to changing those conversations. Jing told the Guardian that her appearance in the video was based on personal experience and had nothing to do with her professional position. She was not paid or compensated by Peabody. She has prior experience as the face of industry campaigns. In 2006, she was the “face of diversity” for General Motors, her previous employer. Jing was born in 1974 in a farming suburb of Xian, the capital of Shaanxi province. Xian is known for its collection of terracotta warriors on the surrounding plains, but Shaanxi is the West Virginia of China. The province contains about a third of China’s known coal deposits – and has more coal companies than any other province. In the mid-1970s, electricity in rural China was scarce and unreliable, with less than half of the country hooked up to the grid. But Jing’s village was electrified when she was about five. Her home had a supply, but not the school. When she was 10, her father was appointed to an important post at the DatongCoal Mining Administration, then the most important coal fields in China, by the then premier Deng Xiaoping. Datong later became a state-owned corporation. There were hospitals, schools and a funeral home, the industry’s contribution to society. By 1990, meanwhile, China had achieved nearly universal electrification. Chinese cities are now choking on dangerous air pollution, because of the reliance on coal. Jing conceded that air pollution was a growing problem for China. But she was uncertain about the causes. It is a complex issue, she said. She didn’t know how much coal contributed to it. Last year was a difficult year for coal companies. As well as those $787m losses, because of competition from cheap oil and natural gas, due to fracking, Peabody was removed from the S&P 500. Goldman Sachs, Bank of America, Stand & Poor and others downgraded the company to “underperform” and “negative” ratings. Its share price has fallen by more than 90% since 2011. This year will not be any better, according to the US Energy Information Administration, which provides independent analysis. US demand for coal for electricity is expected to shrink by 6%, because of cheap natural gas putting ageing coal-fired power plants out of business. The company came under additional pressure from incoming climate regulations and fossil fuel divestment campaigns. In the US, the Environmental Protection Agency will finalise new rules this summer putting the first limits on carbon pollution from power plants. 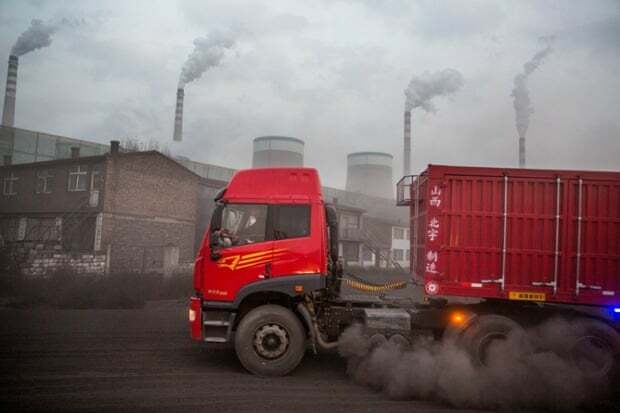 Even China – which Jing has hailed as an example of transformational change from coal – is moving away from coal, because of air pollution choking its cities. Beijing shut down a Datong Company coal plant serving the capital last year, and is scheduled to replace four more coal plants with natural gas by the end of 2016. At the company’s annual general meeting on 4 May, representatives from the New York City and California state pension funds sought to introduce a resolution about climate risks. It was immediately shot down. Fred Palmer, Peabody’s main lobbyist, is deeply connected to the world of climate denial. The public face of Peabody’s opposition to Barack Obama’s climate change plan, Palmer had a record of attacking mainstream climate science that stretches back more than 20 years, well before he joined Peabody in 2001. Palmer now serves as the company’s senior vice-president for global relations. In July last year he delivered the official Peabody response to new Environmental Protection Agency rules, opposing limits on carbon pollution to deal with what he dismissed as “climate theory”. In the early 1990s, Palmer, then the lobbyist for the Western Fuels Association, a consortium of coal industry groups, founded the Greening Earth Society, one of the first industry front groups to promote misinformation about climate change. The Greening Earth Society actively promoted the – false – notion that climate change was actually a net positive, claiming that rising temperatures and atmospheric concentrations of carbon dioxide would help plants grow. Palmer was also deeply involved in the campaign by the Information Council on the Environment (Ice), launched before the 1992 environmental conference, to persuade the public that climate change was not a threat. Some of the messages tested by Ice included: “Who told you the Earth was warming … Chicken Little”, according to Naomi Oreskes in the book Merchants of Doubt. The Greening Earth Society is now defunct but Palmer continued to air his doubts about the existence and potential dangers of climate change. In 2009, Palmer went so far as to say that rising carbon dioxide emissions are good for the planet – part of doing “God’s work”. “Every time you turn your car on and you burn fossil fuels and you put C02 in the air you are doing the work of the lord,” Palmer told an industry gathering. Palmer has toned down some of the rhetoric of late. But in public appearances he continues to accuse “well-funded groups” of using climate regulations to put Peabody out of business. This article was amended on 20 May. It originally stated that “it appears” that the Wellcome Trust does not have any direct investments in Peabody. It has been amended to make clear that Wellcome does not have any direct investment.